Explore firsthand the superior performance/price ratio available from the Manatee Works Barcode Scanner SDK for Windows app integration. 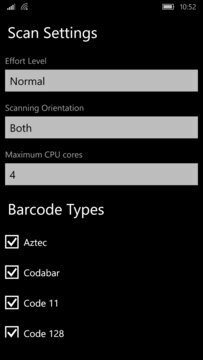 Download the powerful Barcode Scanners application for your mobile Windows device to see how leveraging the Manatee Works Barcode Scanner SDK can add new interactivity to your Windows apps and enable a host of marketing, industry, and enterprise AIDC workflows. The Manatee Works Barcode Scanner SDK library supports all major barcode symbologies, including Aztec Code, Codabar, Code 11, Code 25 (Interleaved, Industrial and ITF-14), Code 39, Code 93, Code 128, Data Matrix, DotCode, EAN, ISBN, GS1 Databar, MSI Plessey, PDF417, QR Code, and UPC barcode types, as well as all GS1 specific sub types like GS1 QR Code, GS1 DataMatrix and GS1-128. The Manatee Works Barcode Scanner SDK supports the most powerful cross-platform development frameworks such as Xamarin, PhoneGap Cordova, Titanium Appcelerator, Ionic, Meteor, MobileFirst, and more. Add powerful software plugins to the Manatee Works Barcode Scanner SDK like industry standard parsers (AAMVA, GS1, IUID, and more! ), scan metrics, or the Aimer Plugin software -- all at no extra charge with the purchase of a SDK license. With SLOC at a fraction of the size of open source solutions, the Manatee Works Barcode Scanner SDK proves great things do come in small packages. Forget the learning curve... keep developers focused on application development instead of the complexities of an unsupported, bloated, lame scanning solution. Given multiple licensing choices, one-time (NO LONG-TERM COMMITMENT!) payment options, and NO network connectivity requirements, our decoders are more affordable, reliable, and simple to license than our commercial competitors. 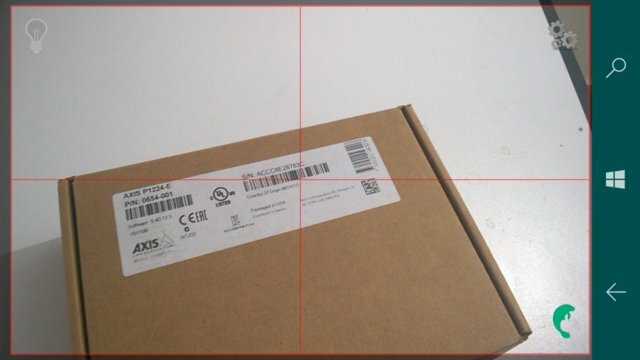 While most decoders only work well with high-resolution barcode images, our decoders are tuned to read the densest barcode images even in low light, extreme angles, varying brightness and contrast levels, and inverted surfaces. Manatee Works achieves exceptional barcode scanning performance and read-range, in a variety of lighting conditions, even with damaged barcodes, making our decoding capabilities transparent to use. All other solutions fail to achieve the same. Simple, Affordable, Accurate, and Fast Barcode Scanner SDK... Take it for a spin with your use case and you will agree. With plenty of configurable settings, end-user customer satisfaction is quickly and easily within reach. This means efficient workflows... smarter purchases... faster tracking... validated inventory... authentic identification... Which are you delivering to your customers? Windows developers may contact us via email at sales@manateeworks.com or visit www.manateeworks.com to learn more.